This precious model draws inspiration from one of the most famous paintings of the Japanese artist Ito Jakuchu, entitled ‘Roosters’. 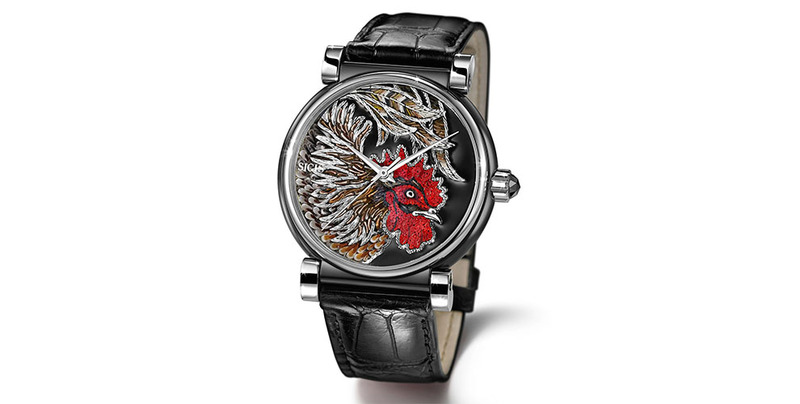 The attention to detail was one of the key point of Jakuchu work, therefore the artists of the Maison recreated in micro mosaic every color and nuance of the plumage with extreme precision that highlights the strong and leading aspect of the animal. The watch has a Swiss Made automatic movement and a stainless steel case, the dial is inlaid with white gold and a black diamond is placed on the crown. Sicis Factory, fascinated by the Japanese culture and especially by the Edo period, continues its ongoing study of the painting of the time and of the techniques used by the different artists. It translates in an irresistible passion for accuracy and for the beautiful shades of history and art.